Please contact me if you’d like a more detailed tutorial on a particular DIY idea, the Word documents for any of my computer based projects, or if would like any more information on where I’ve bought any of my items! 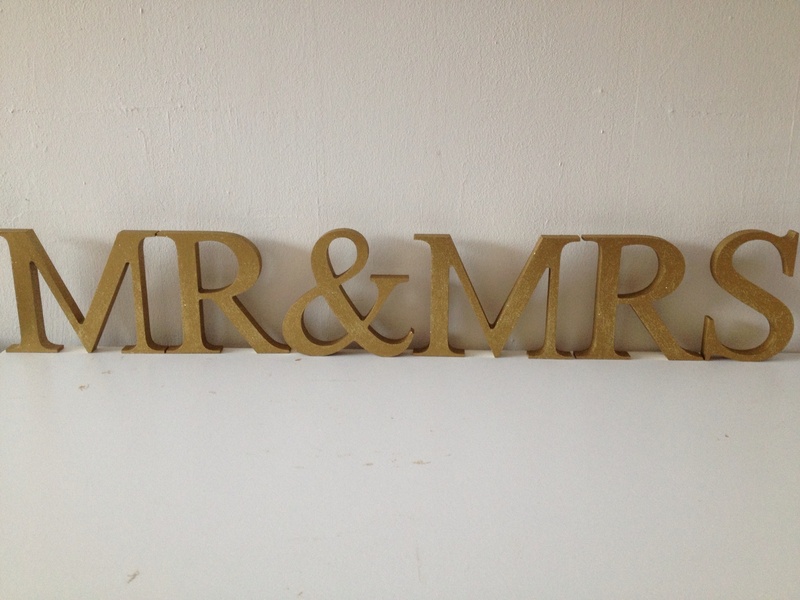 I bought these cardboard letters from Hobbycraft and painted them with an antique gold paint, also from Hobbycraft. I then gave them a couple gold layers of gold glitter paint from The Works to give them a bit of sparkle! 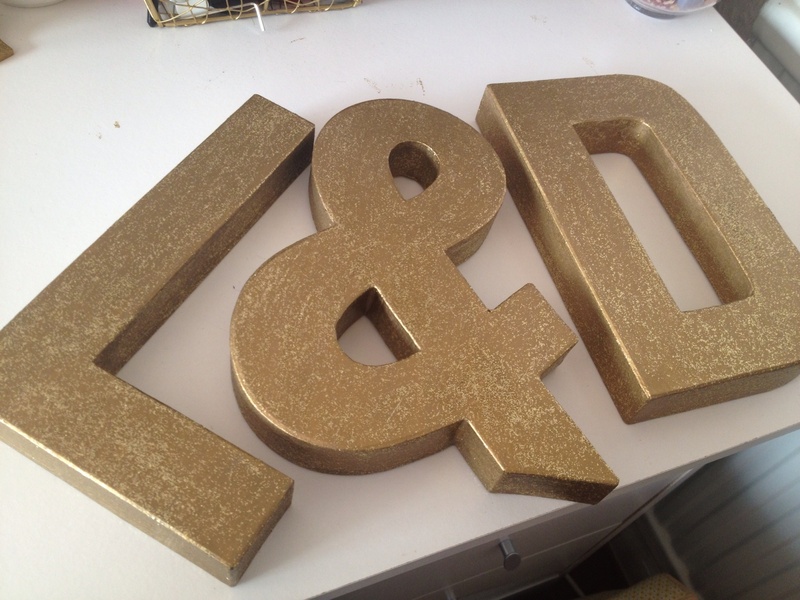 I bought these wooden letters from a seller on eBay, then gave them a few layers of the same antique gold paint and gold glitter paint I used on my L&D letters. I created these door hanger tags on the computer. 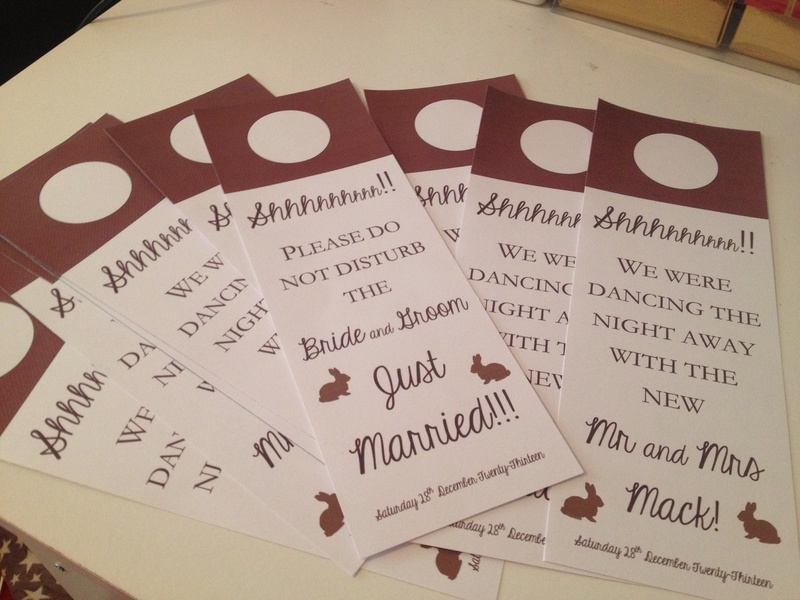 I already had the card (100 sheets for £5 from Hobbycraft), so it didn’t really cost anything more than my time! I bought these personalised tags from Easy2Name for £19.50 inc p&p for 36. I’ve used them on so many things! Total cost: One personalised tag – £0.54. I used my personalised tags from Easy2Name on my Converse-style shoes from Primark. I can’t wait to wear them! Total cost: Two personalised tags – £1.08. 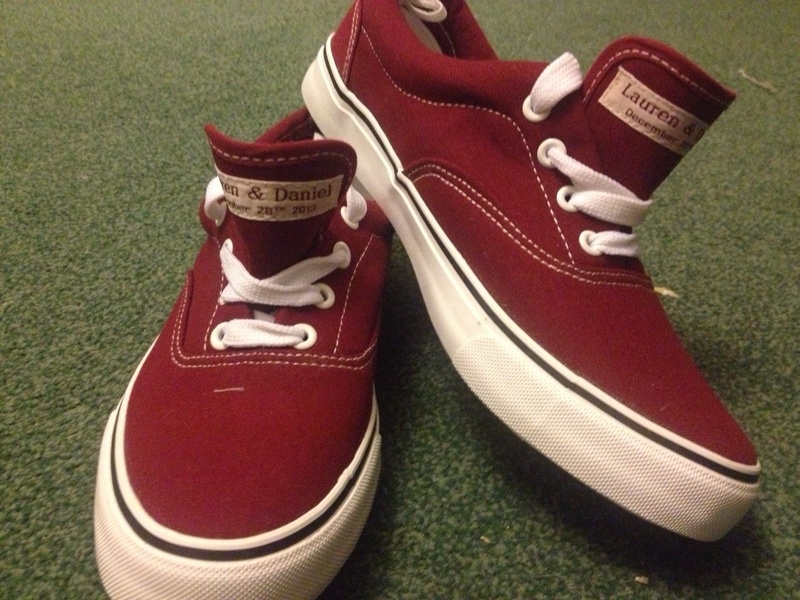 Converse style shoes £6 from Primark. 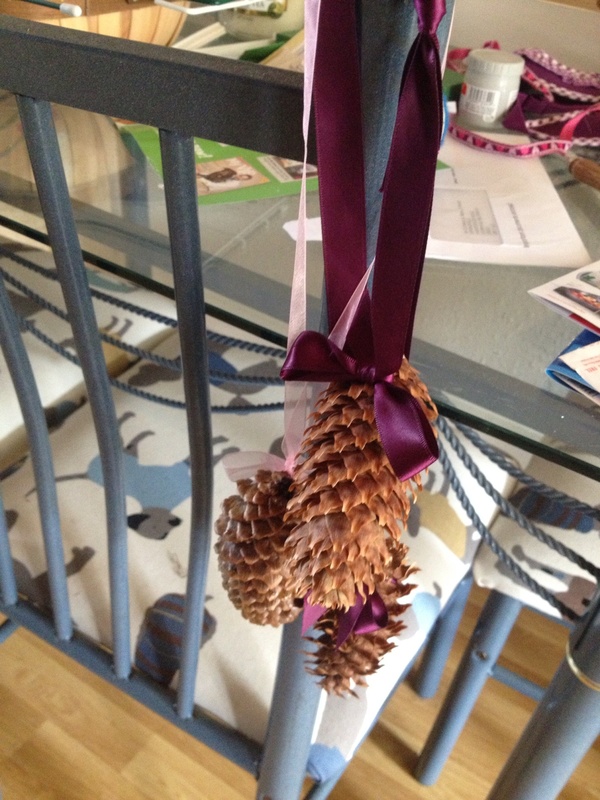 I collected a variety of different shape and size pinecones from my local wooded area and simply threaded ribbon around the base of the pinecone to be able to hang them upside down! 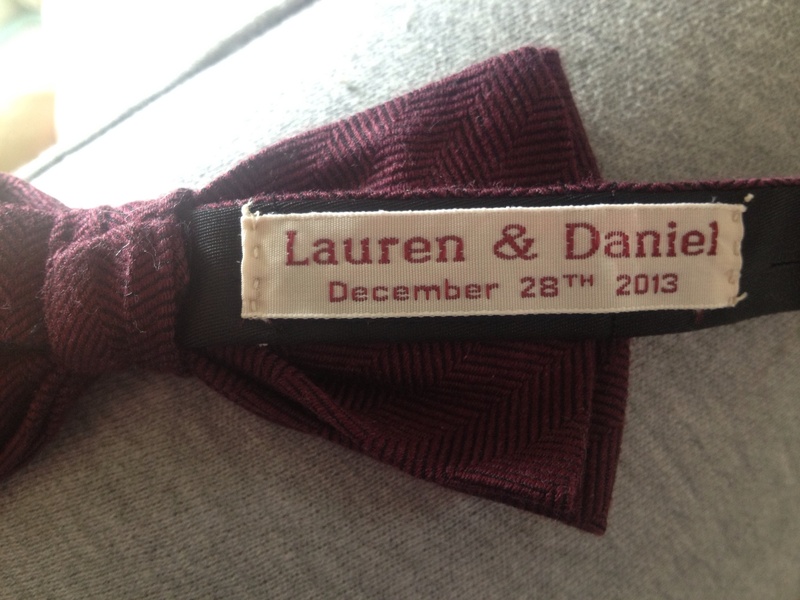 Total cost: £2 for the ribbon. 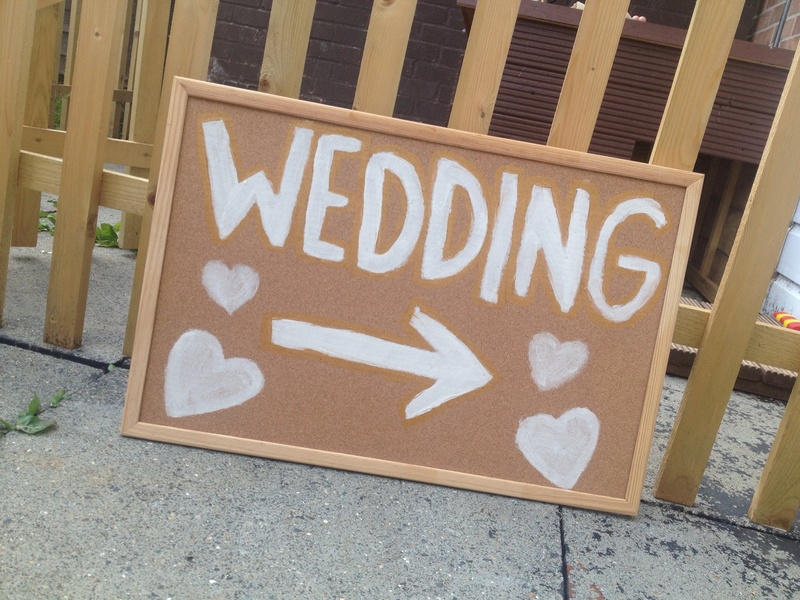 I used an old corkboard (£2 from The Works) and used some leftover paint to paint the letters on.